A leading Dandenong cricket club could be bounced out of its long-time home in the middle of the season. And it’s all due to the size of its oval. Lined by trees on Pultney St, and nudging Dandenong Creek, Park Oval is one of Melbourne’s most charming sports grounds. But it is so small that for many years it has been referred to in cricket circles as The Postage Stamp. 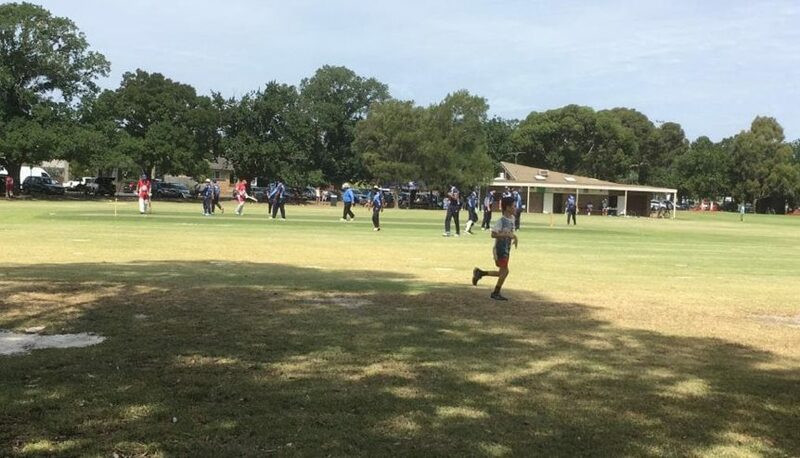 Batsmen clouted 30 sixes at the ground in last Saturday’s Turf 1 one-day match between Buckley Ridges and Springvale South. One ball rolled into the creek, forcing an official to fetch it with a fishing net. But the City of Greater Dandenong wants to boot Buckley Ridges off Park Oval mid-season because it overlaps with Wilson Oval, where Dandenong Cricket Club’s thirds and fourth teams play. The council says the crossing of the boundaries poses a “risk-management” concern for players. It has told Buckley Ridges it must play its remaining home matches this season at Greaves Reserve in Dandenong, using the turf wicket formerly used by the Dandenong women’s team. In the longer-term the 90-year-old club may have to relocate from Park Oval. Leader has been told a masterplan for nearby Shepley Oval calls for the Park-Wilson area to be made into one ground. The council has also highlighted the overlapping issue at Coomoora Cricket Club’s turf and synthetic grounds. Buckley president Sonny De Silva met the City of Greater Dandenong this morning and confirmed the council wanted the club to go to Greaves “straight away … from this weekend’’. South African star David White is playing at Buckley Ridges this season. He made 149 not out last Saturday. He said the club would fight the direction “tooth and nail’’. “I gave them 100 reasons why it should not be done,’’ De Silva said. “They’re worried that someone might get hit from a ball on the other ground. That’s the only reason. It’s never happened before. We’re prepared to have a committee member stand there on the boundary and supervise it. It’s the same risk that comes with playing golf. DDCA hall of famer Cam McDonnell said it would be a shame to see Park Oval removed from fixtures. He said the ground was unique. “I think it’s a great cricket ground. It might be small, but the wicket has always been superb and there’s always a great atmosphere,’’ McDonnell said. The council recently did an audit of all cricket grounds and identified that a number of them weren’t big enough. But it is has acted on Wilson Oval and Coomoora Reserve due to the risks involved with overlapping boundaries when two matches are being played at the same time.